Carnegie Mellon University (CMU) scientists are using smartphones and digital cameras in a low-cost system to monitor road conditions. These readily available devices are mounted inside cars and other vehicles to collect images and videos of road surfaces. Computer vision algorithms analyze the images to determine where there are high concentrations of cracked street surfaces, where signage is missing or damaged, or where there is snow or slush on the road. These areas are then flagged for maintenance and other attention. 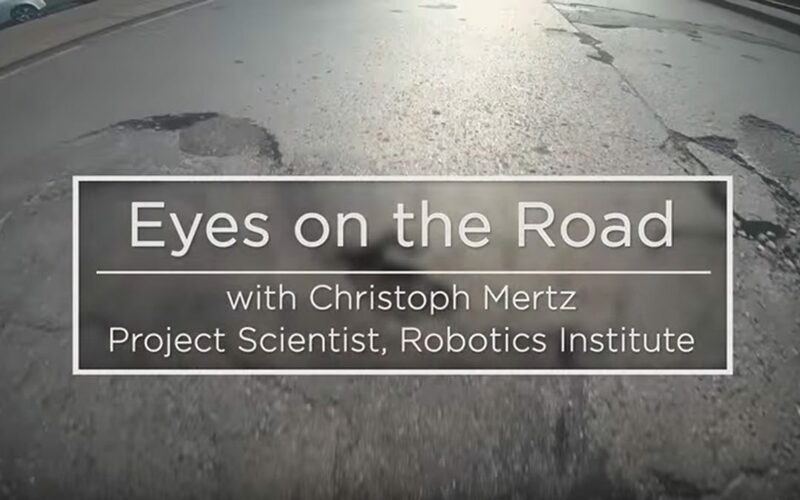 The system is being pioneered by Christoph Mertz, principal project scientist at CMU’s Robotics Institute, and his colleagues. They’ve pilot-tested the system with the Pennsylvania Department of Transportation (PennDOT) on snow plows using smartphones to track real-time road conditions in winter. The technology also has been deployed with the City of Pittsburgh and nearby Marshall and Cranberry townships. The local governments have reported they value the system’s ability to integrate inspection technology into everyday operations. Mertz has suggested mounting smartphones inside garbage trucks to assess roadway conditions on a routine basis. The $500,000 project is funded by CMU’s Technologies for Safe and Efficient Transportation (T-SET) University Transportation Center. It is sponsored by the U.S. Department of Transportation, the Hillman Foundation, the Buhl Foundation, the National Science Foundation and PennDOT. Visit CMU’s website about the research. For more information, contact Christoph Mertz at cmertz@andrew.cmu.edu.